Prednisone and other corticosteroids are known for their very specific side effects. The most common side effects reported by patients include insomnia, increased appetite, weight gain, and ease of bruising. Rare but very serious side effects are high blood pressure, seizures, confusion, pancreatitis, chest pain and blurred vision. These side effects are often very mild and they do not cause much discomfort, but they can become bothersome on occasion. Sometimes patients using prednisone must also use a medication to help them sleep for a short period of time. These prednisone side effects often dissipate once the medication is no longer being used, but when prednisone is prescribed for long-term use patients may often find that they need frequent monitoring and diet changes in order to maintain their healthy weight. In some cases, doctors are able to sufficiently reduce a patient’s dose to the point where these prednisone side effects no longer occur, but in a very small percentage of the population the medication must be discontinued due to the occurrence of serious prednisone side effects. The FDA—or Food and Drug Administration—has assigned prednisone into the pregnancy category B. This means that although prednisone has not been thoroughly studied in pregnant humans, its use in pregnant animals does not seem to cause harm to the unborn fetus. Pregnant women should still use prednisone with care, however, because it is unknown whether or not the fetus may experience the same prednisone side effects as the mother and observational studies have shown that prednisone may increase the risk of cleft palate, club foot and other similar birth defects. Breastfeeding mothers are advised to discontinue breastfeeding for the duration of their treatment to avoid prednisone side effects in the baby. Elderly patients often have compromised immune systems due to age or other mental conditions, so the use of prednisone in this age group should be closely monitored by physicians, patients and caregivers. Corticosteroids are notorious for causing decreased immune responses to viral and bacterial infections; this can be deadly for people over the age of 65. Like all medications, physicians should only prescribe prednisone to elderly patients if the benefits of the drug clearly outweigh the risks for prednisone side effects. Even the mild side effects of prednisone can be magnified in elderly people, so it is very important for these patients to be monitored very closely during their courses of treatment. People who are being treated for an infection or who recently finished treatment for an infection should avoid being treated with prednisone. Prednisone lowers the body’s immune system response to viral and bacterial infections, possibly making them life threatening. 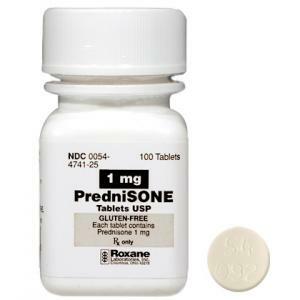 People who have or have had any type of fungal infection in the days before starting prednisone should not take this medication for the same reason; the body’s natural immune response to the fungus will be greatly reduced as one of the side effects of prednisone. People who are taking prednisone should also avoid receiving ‘live’ vaccines for the flu or other ailments since even this tiny amount of live virus can cause serious illness. Although prednisone has many uses in the medical world and has often been said to have saved lives, this medication—like all corticosteroids—is not without its dangers. The side effects of prednisone are usually mild and easy to manage, but recognizing them is the first step on understanding how prednisone affects the body.